First, my new organizer on clearance at the local Joanne’s store. 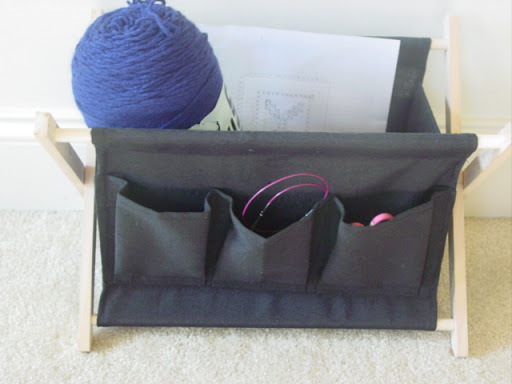 I love this, I put the yarn in and it holds it while knitting or crocheting and keeps my “stuff” in the pockets and not on the floor. I have been working on a project. I want to knit Nessie some sweaters. 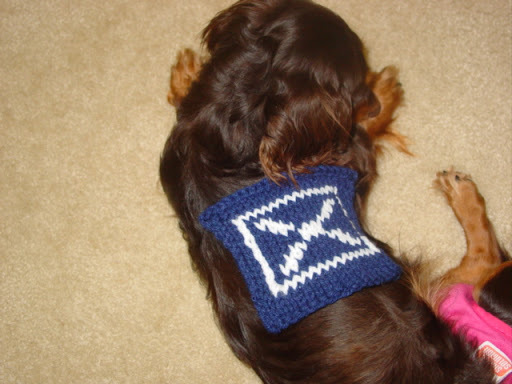 I want to knit a Scotland Flag on Nessie’s sweaters. This is the first time I have tried knitting with more than one color. This is my sample swatch that I knitted for practice before doing the actual pattern. I had to use graph paper to make my flag pattern. Normally the Scotland flag does not have a white trim around it, but I added it for some definition. I am using size 8 needles (knitpicks needles) with Caron Worsted Weight Yarn in Midnight Blue and Red Heart in a White. I have started the sweater this morning, but I will share with you this project later and share where I found the actual pattern that I used and changed for my needs. I am not good with typing out patterns, so here is the basis from white square in: I did 3 rows of blue all sides up to the white box trim. 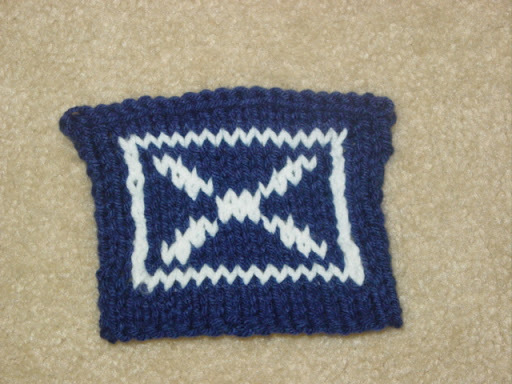 I am doing this because I could not find a small Scotland flag pattern for knitting. 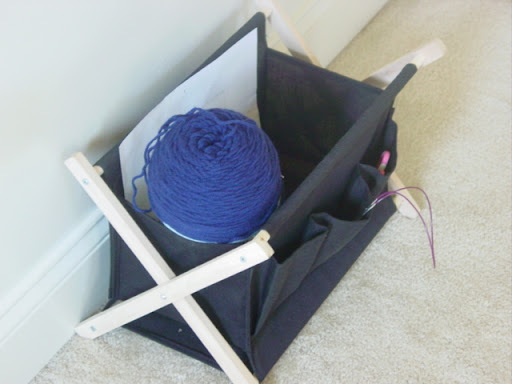 This entry was posted in Crochet/Knit/sewing. Bookmark the permalink.